"I read in the newspaper that Sunanda Pushkar used Tharoor's account to tweet. 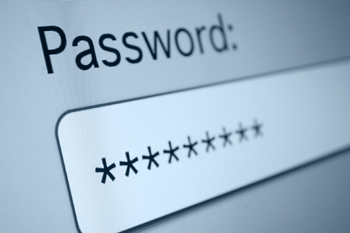 While we go about creating a big hype for all the things celebs do while this not an unheard thing in day-to-day life, I evaluate the pros and cons of sharing a password." Spouses, best cousins, best friends. Sharing passwords with them is not unheard of. Having known some people who claim not to share passwords for 'want of space', I have also known people who are quite happy with their spouses changing their profile pictures on facebook, updating a status and the like. And they do come across as very endearing. While there might be many ways to look at it, I evaluate the pros and cons of sharing a password with the select few. Pros: I think it gives the air of you-know-everything-I-do, you can check my accounts whenever you want to (and I trust that you won't scan my account daily and snoop around unnecessarily), it just adds one layer to your foundation of bonding (Please note, I am not saying it increases "love", I'm just saying that the trust level definitely increases, even if minutely). Thinking from the point of an infidel, it also increases the chances that he wouldn't use any of his social accounts to stray (good thing! and yes I know this point is highly debatable) and as long as the person you're sharing the password with is healthy in mind, it is perfectly safe. It might even make you ever so slightly more trusting to each other, each time you ask the other to reply to a third party impersonating you. Cons: Most important point, when your spouse is insecure. Insecurity is the one thing that leads to jealousy, fights and things you probably can't imagine. You don't want an upset spouse just because you have a friend mailing you whom he/she can't compete with. Similarly taking someone's password when YOU are insecure is also a big no-no. Chances are you'll do something silly and ruin everything. So if you are the insecure one in your friendship/ relationships, don't take that password when someone wants to give it to you, though I know it sounds very difficult to do. (You can treat yourself silly to congratulate yourself later!). The key to happiness is NOT a password. So think before you share it, and think before accepting it! Any facts, figures or references stated here are made by the author & don't reflect the endorsement of iU at all times unless otherwise drafted by official staff at iU. This article was first published here on 18th January 2014.